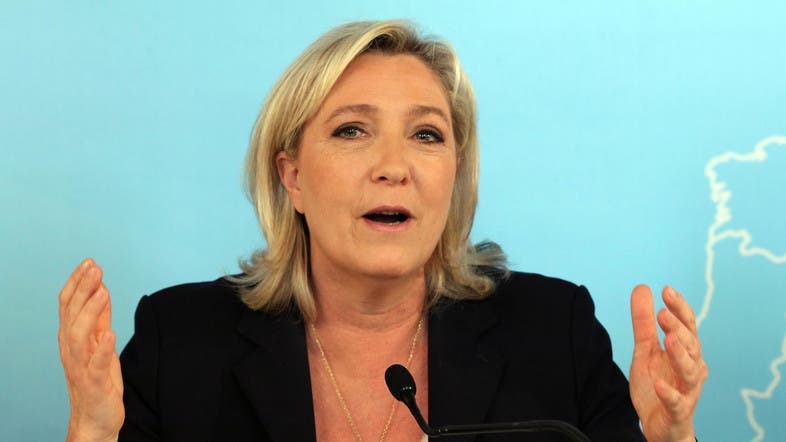 French far-right leader Marine Le Pen says there should be a similar referendum about EU membership in France after Britons voted to leave the 28-nation bloc. "A victory for Freedom," Le Pen tweeted. "We now need the same referendum in France and in EU nations." In the Netherlands, her ally Geert Wilders of the far-right PVV party also immediately called for a similar plebiscite. Calling Europe’s immigration policies “crazy”, she called on the British “not to be swayed by the speeches of fear” on May 23 from the likes of EU Commission head Jean-Claude Juncker. The gathering was hosted by Austria’s Freedom Party (FPOe), which almost won presidential elections in May and which is leading opinion polls ahead of the next scheduled elections in 2018. “We don’t want Europe to be a carbon copy of the United States... We want a Europe of fatherlands,” FPOe leader Heinz-Christian Strache told the beered-up, smoky meeting outside Vienna. “The new fascism comes from the left and from radical Islam,” he roared to the audience in a conference centre, a huge glass pyramid, in a commercial zone in Voesendorf. The rally -- called the “Patriotic Spring” -- was a gathering of the Europe for Nations and Freedom alliance, the nine-country European parliamentary bloc that Le Pen chairs. It included Lorenzo Fontana of Italy’s Northern League, Marcus Pretzell from Alternative for Germany (AfD), Gerolf Annemans from Belgium’s Vlaams Belang (Flemish Interest) and former UK Independence Party (UKIP) member Janice Atkinson. Meanwhile, the Dutch anti-Islam MP Geert Wilders on Friday called for the Netherlands to hold a referendum on whether to leave the EU, shortly after Britain voted for a Brexit. “The Dutch people deserve a referendum as well. The Party for Freedom consequently demands a referendum on NExit, a Dutch EU exit,” Wilders said in a statement. “We want be in charge of our own country, our own money, our own borders, and our own immigration policy,” Wilders said in a statement. Elections are not due in the Netherlands until next year, but since last year polls have consistently shown support for the Freedom Party (PVV) climbing on the back of the refugee crisis. The Netherlands, which currently holds the rotating presidency of the EU, held a referendum earlier this year on whether to back closer cooperation between the EU and Ukraine. Turnout was low, but over 60 percent voted against the deal.